Railpictures.ca - Robert Farkas Photo: It is a warm, sunny August 1986 day in Toronto for TTC 4397 and its passengers. | Railpictures.ca – Canadian Railway Photography – photographie ferroviaire Canadienne. 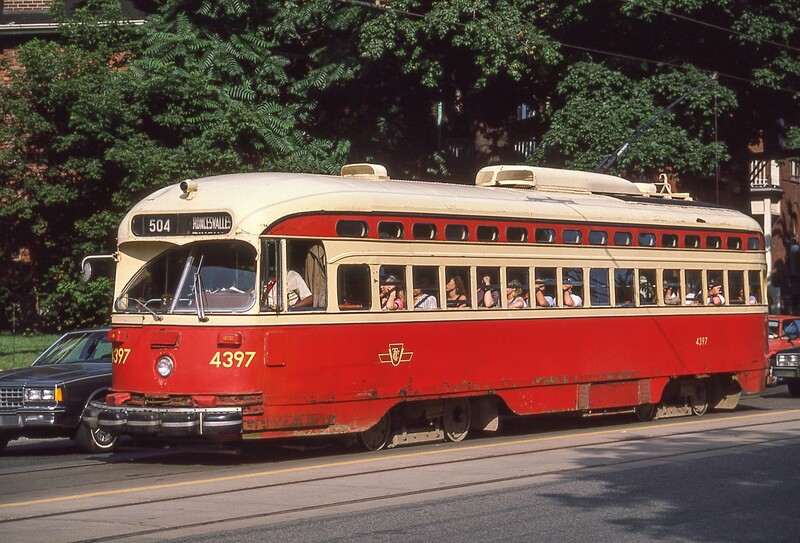 Caption: It is a warm, sunny August 1986 day in Toronto for TTC 4397 and its passengers. Did all the PCCs get those rubber bumpers up front? Look at all those rulebreakers with their arms out the window. Lol. Something you definitely cannot do today.